Blue Creek Apartments is a small apartment building, built next to the Wood Side Apartments. The fire escape of the Wood Side Apartments was knocked down to make room for the Blue Creek Apartments. Access to the third floor of the Blue Creek Apartments is completely blocked off in Silent Hill 2. In Silent Hill 2, James Sunderland goes into these apartments for his second encounter with Angela Orosco and Pyramid Head. It is here that he sticks his hand down a filthy toilet, a small joke in the series. He will find a memo with a code on it that gives the player access to a safe, which contains five sets of handgun bullets. The Coin Puzzle can be found in a first floor room of this apartment containing the Lyne House Key. Access to these apartments can be found through the fire escape of the Wood Side Apartments and also in a small area located behind the Baldwin Mansion. The Blue Creek Apartments also exit to an alleyway that leads directly to Rosewater Park. Brookhaven Hospital is a mental institution in located in the South Vale area of Silent Hill. It was originally founded in the 1860s as a Civil War field hospital. 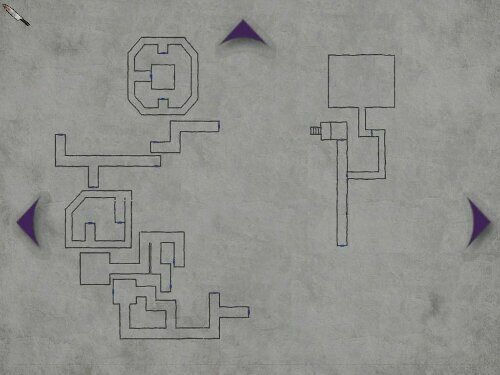 Currently, it has appeared in Silent Hill 2, Silent Hill 3 and Silent Hill: The Arcade. Nurses are a very frequent monster in Brookhaven. 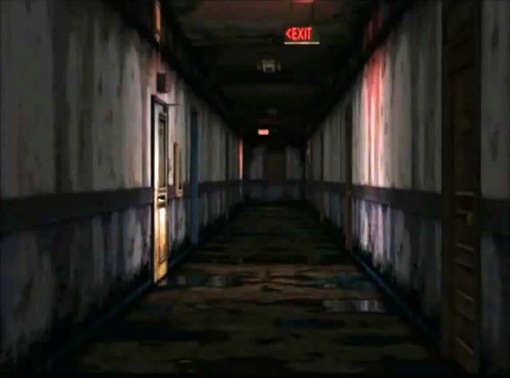 Apart from the games, Brookhaven also appeared in the Silent Hill film. Prior to the 1600s, the area where Silent Hill was eventually established was the home of members of an unnamed Native American tribe that used the land for sacred rituals. At the end of the century, settlers arrived and founded the town; shortly thereafter, they began to rapidly die off. The deaths were attributed to an epidemic, and Brookhaven Hospital was built to treat those affected. Eventually the settlers fled the town, leaving it abandoned for nearly a century, until it was resettled as a penal colony in the early 1800s. Twenty years later, another epidemic broke out, and Brookhaven Hospital was rebuilt and reopened. The first game to explore Brookhaven, James Sunderland and Maria enter here in pursuit of Laura. From clues received during play, it appears to be a mental hospital, complete with solitary confinement booths and various medical notes. It is unclear whether both Brookhaven and Alchemilla Hospital are mental institutions, as their purpose differs from game to game (for instance, Alchemilla appears to be a medical hospital in Silent Hill, but a mental facility in Silent Hill: Homecoming). Brookhaven Hospital undergoes a genuine, though comparatively subtle, Otherworld transformation. The walls are covered in tarp, many doors are blocked by either boxes or material, and many strange sounds and noises can be heard. Some examples include glass shattering, a pig-like creature squealing in the basement and someone breathing heavily in the room where James discovers Maria is missing. 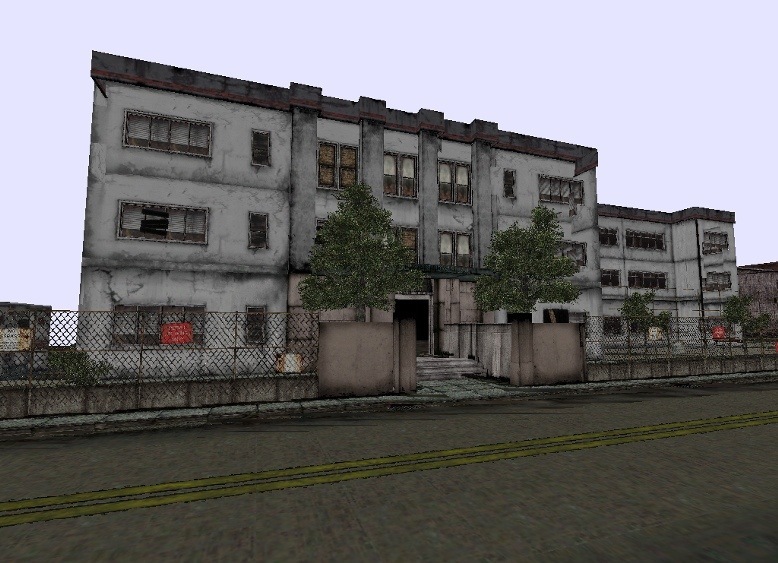 Like many of the buildings James enters in Silent Hill, the general feeling here is one of abandonment, a dilapidated husk void of life and activity. The labyrinth is a deep maze that features identically designed corridors and takes on the form of a disused and decaying building. 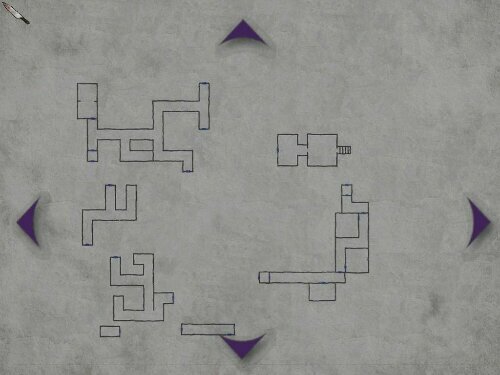 It consists of two levels. The upper level takes the form of various corridors with tearing wallpaper. The lower level is a sewer-like series of tunnels, muddy and flooded. The areas within are all incredibly similar and James can easily get lost in them.Lying Figures are the main enemy, although Mandarins make a few appearances as well. The lower level houses Pyramid Head in two areas, who can be found armed with a spear and calmly patrolling the hallways. James can acquire the creature’s signature Great Knife should he visit Pyramid Head’s quarters, a small, bloodied chamber crammed with hanging, caged corpses and an enormous ceiling fan. For the majority of the game, James is in search of a way to reach the hotel, as it was the “special place” he and his wife Mary shared and her letter implied that she can be found there. 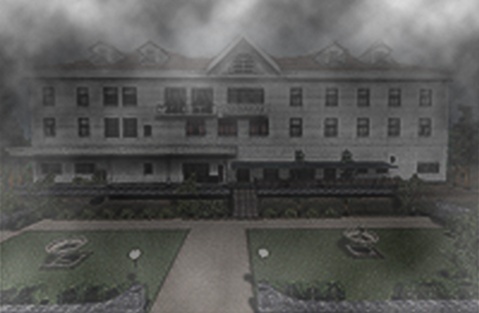 After James and Mary left Silent Hill, the hotel was completely burned down by a fire. However, when James arrives at the hotel, it appears to him that it never changed in the past three years. James only sees the hotel in its true form after viewing the videotape in Room 312. James sees himself smothering Mary to death on her hospital bed with a pillow using a VCR. Laura walks in shortly after, and James tells her that he killed Mary, causing her to scream at him and run out of the room. He gets up and his radio begins to start working, with Mary’s voice, telling James that she is nearby. James then leaves Room 312. 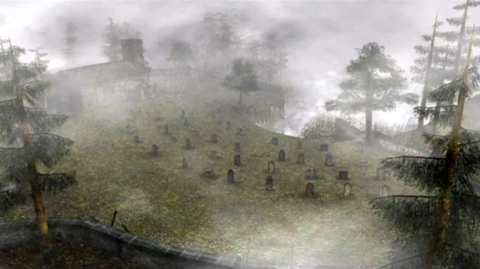 Toluca Graveyard is located to the east of South Vale Silent Hill, north of which isToluca Lake. It is featured at the beginning of Silent Hill 2 and in one of its six possible endings. The graveyard is very small, with only a few graves and a small section overlooking Toluca Lake. It is surrounded by many trees and covered in fog. It is one of two ways to get to the town from the Observation Deck (the other beingNathan Avenue, the main road, which is blocked). The graveyard contains a small mausoleum and is very quiet. James Sunderland meets Angela Oroscoupon arrival here. She is kneeling by a gravestone as if she is looking for a certain grave. In the “Leave” ending of the game, James leaves the town together with Laurathrough the cemetery.